They'll carry your logo on a carrier! Bright white carrier bag with gusset, perfect for use in retail, at exhibitions or for handing out campaign promotions! 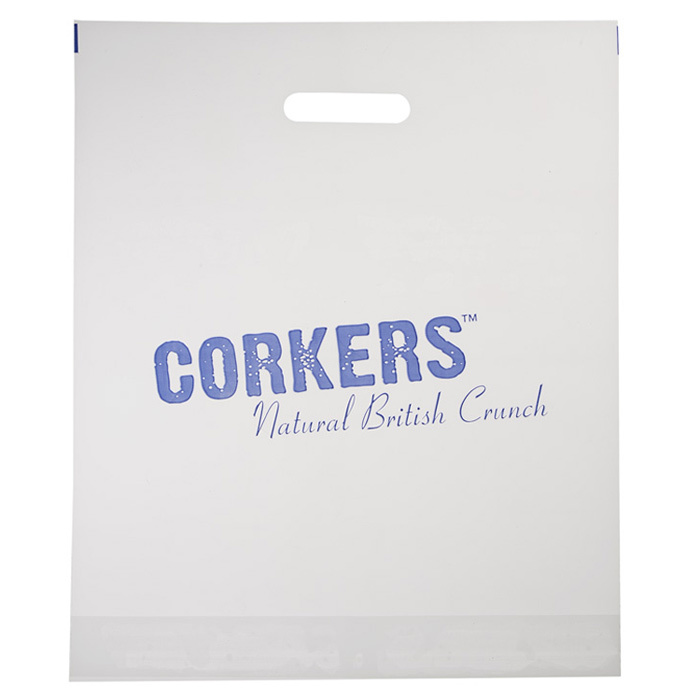 Printed carrier bags are one of the most popular vehicles around for promoting your brand as they're both inexpensive and ideal for a tradeshow or product launch. Go for a print to both sides of the bag (costs extra) to double your advertising exposure! Also available in a wide range of colours or in transparent clear. Designs with a 3 or 4 colour print available from 1000 bags - please call for prices. Price includes a 1 colour print on one side of the bag. Dimensions: 380 x 457 x 75mm. Print area: 300 x 300mm.